Tours offered Mondays, Fridays, and Saturdays at 11:00am, 12:00pm, 2:00pm, and 3:00pm. Daily tours resume in April. The full program lasts approximately 45 minutes. The tour itself is about 30 minutes, preceded by a 15 minute introduction available to all visitors. 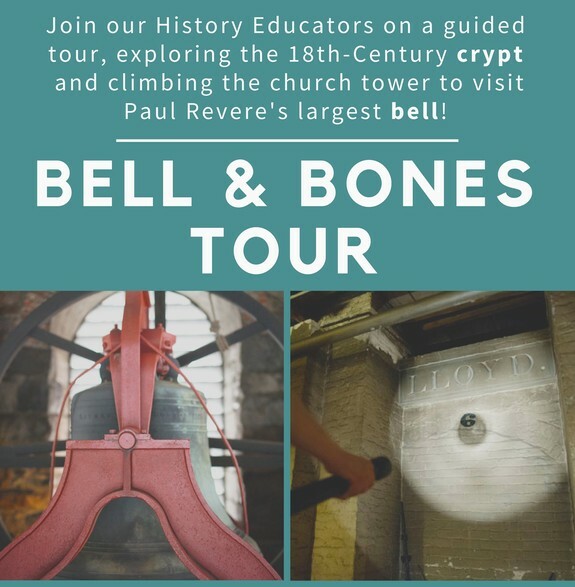 Due to the content and physical demands of the tour, the Bell & Bones Tour is recommended for ages 10+.